Information about Us: This Website is hosted and operated by Boone Henry Limited, a limited liability company registered in England and Wales under company number 03536265. Our VAT number is GB 775 203 628.  We are a member of the Institute of Chartered Accountants in England and Wales Practice Assurance Scheme. References to “Boone Henry”, “us”, “our” or “we” are references to Boone Henry Limited. References to “you” or “your” means a reference to you as an individual, and, where applicable, the company or other legal entity for which you are accepting these Terms and any other party that you have authorized to use our website (“Website”) and portal on your behalf. You must not use any part of the materials on our Website for commercial purposes without obtaining a license to do so from us or our licensors. You may contact us to seek our permission by emailing info@boonehenry.co.uk. Software Downloads: The use of any software downloads made available from our Website or portal will be subject to the terms and conditions of the end user license agreement associated with such software. By downloading, installing, modifying, copying or by otherwise using such software you indicate your acceptance of the terms and conditions of the associated end user license agreement. User Information: Any information you provide to us or upload to our Website or portal: (a) shall not be false, inaccurate or misleading; (b) shall not be fraudulent or involve the sale of counterfeit or stolen items; (c) shall not infringe any third party’s copyright, patent, trademark, trade secret or other proprietary rights or rights of publicity or privacy; (d) shall not violate any law, statute, ordinance or regulation; (e) shall not be defamatory, libellous, unlawfully threatening or harassing; (f) shall not contain any viruses, Trojan horses, worms, time bombs, cancelbots or other computer programming routines that are intended to damage, detrimentally interfere with, surreptitiously intercept or expropriate our Website or portal or any part thereof; (h) shall not create liability for us or cause us to lose (in whole or in part) the services of our ISPs or other suppliers; and (i) shall not link directly or indirectly to or include descriptions of goods or services that are prohibited under these Terms. Links to other Websites: Links to third party websites on this Website are provided solely as a convenience to you. If you use these links, you will leave this Website. Boone Henry has not reviewed all of these third-party websites and does not control and is not responsible for any of these websites or their content. Boone Henry does not endorse or make any warranties or representations about the other websites, or any information, software or other products or materials found there, or any results that may be obtained from using them. If you decide to access any of the third-party websites linked to this Website, you do this entirely at your own risk. Our Website must not be framed on any other website, nor may you create a link to any part of our Website other than the homepage. We reserve the right to withdraw linking permission without notice. Social Media: While Boone Henry has official profiles on a number of social networks, this does not mean that Boone Henry endorses their products or services. If you cannot access the social network, it is not the responsibility of Boone Henry. Legal Disclaimer: All information provided in this website, including that contained in a blog, has been prepared for general information and illustration purposes and does not establish, in any form, a business or professional services relationship between the reader and the author, Boone Henry Limited itself. Although we have taken due care in the preparation of all information contained in this website and/or any blog, any reliance on the information is solely at the user’s risk. You should always take professional advice in relation to your circumstances and the information in this website and/or any blog should not be used as a substitute for consultation with professional accounting, tax, legal or other relevant advisers. Before making any decision or taking any action, you should consult a professional adviser. All information in this website and/or any blog is provided “as is”, with no guarantee of completeness, accuracy, timeliness or of the results obtained from the use of this information, and without warranty of any kind, express or implied, including, but not limited to fitness for a particular purpose. Nothing herein shall to any extent substitute for the independent investigations and the sound technical and business judgment of the reader. Limitation of Liability: IN NO EVENT WILL BOONE HENRY, ITS SUPPLIERS, OR OTHER THIRD PARTIES MENTIONED AT THIS WEBSITE BE LIABLE FOR ANY DAMAGES WHATSOEVER (INCLUDING, WITHOUT LIMITATION, THOSE RESULTING FROM LOST PROFITS, LOST DATA OR BUSINESS INTERRUPTION) ARISING OUT OF THE USE, INABILITY TO USE, OR THE RESULTS OF USE OF THIS WEBSITE, ANY WEBSITES LINKED TO THIS WEBSITE, OR THE MATERIALS OR INFORMATION OR SERVICES CONTAINED AT ANY OR ALL SUCH WEBSITES, WHETHER BASED ON WARRANTY, CONTRACT, TORT (INCLUDING NEGLIGENCE) OR ANY OTHER LEGAL THEORY AND WHETHER OR NOT ADVISED OF THE POSSIBILITY OF SUCH DAMAGES. IF YOUR USE OF THE MATERIALS, INFORMATION OR SERVICES FROM THIS WEBSITE RESULTS IN THE NEED FOR SERVICING, REPAIR OR CORRECTION OF EQUIPMENT OR DATA, YOU ASSUME ALL COSTS THEREOF. NOTHING IN THIS AGREEMENT SHALL EXCLUDE THE LIABILITY OF BOONE HENRY FOR DEATH OR PERSONAL INJURY ARISING FROM ITS NEGLIGENCE OR FROM THAT OF ITS SERVANTS, AGENTS OR EMPLOYEES OR FOR FRAUDULENT MISREPRESENTATION OR ANY OTHER LIABILITY WHICH IT IS PROHIBITED FROM EXCLUDING BY LAW. TO THE EXTENT THAT BOONE HENRY MAY NOT, AS A MATTER OF APPLICABLE LAW, DISCLAIM ANY IMPLIED WARRANTY OR LIMIT ITS LIABILITIES, THE SCOPE AND DURATION OF SUCH WARRANTY AND THE EXTENT OF BOONE HENRY’S LIABILITY SHALL BE THE MINIMUM PERMITTED UNDER SUCH APPLICABLE LAW. No Agency: You and Boone Henry are independent contractors, and no agency, partnership, joint venture, employer-employee or franchiser-franchisee relationship is intended or created by this Agreement. General: Boone Henry may revise these Terms at any time by updating this posting. You should visit this page from time to time to review the then-current Terms because they are binding on you. Certain provisions of these Terms may be superseded by expressly designated legal notices or terms located on particular pages at this Website.